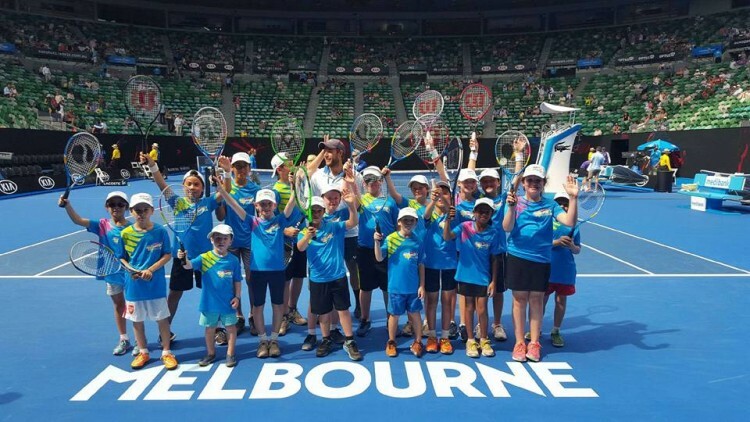 During the first week of the Australian Open, Vida kids from all our venues have the opportunity to have an court playing experience. As part of the ANZ Hots Shots program, kids will play tennis on the court before the first match of the day. The kids will play for approx 20 to 30 minutes and then one of the kids on the court will have the opportunity to toss the coin at the start of the match. You are then free to stay for the day and watch some world class tennis and experience all of what the Australian Open has to offer. 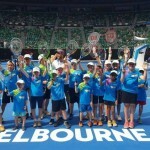 Tossing the coin on match courts – some kids got on the big screen! Each Vida Venue has been allocated a number of positions for our Hot Shots participants. Unfortunately we will not be able to accommodate every child, so to make things fair we will be drawing it out of a hat if we go over the numbers allocated at each venue.